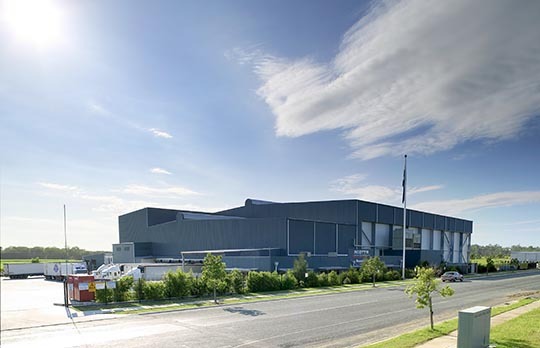 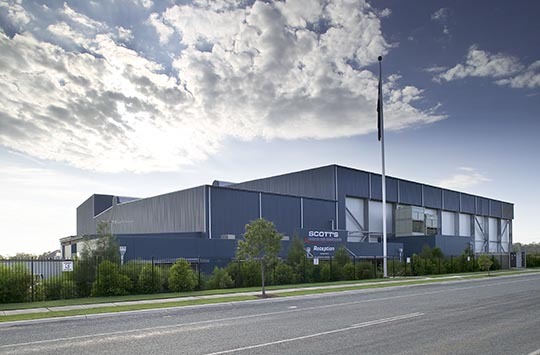 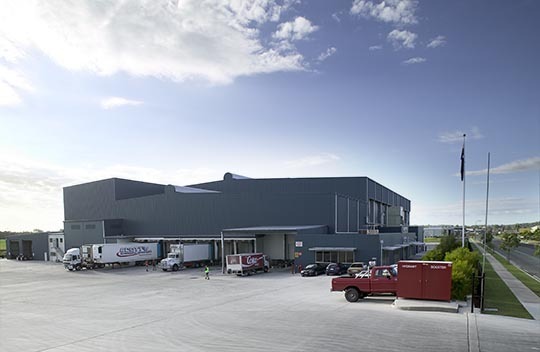 Located 40 kilometres south of Brisbane on the M1 Motorway is the cold store facility for Scott's Refrigerated Freightways with the capacity to store 9,400 pallets, 7 high. 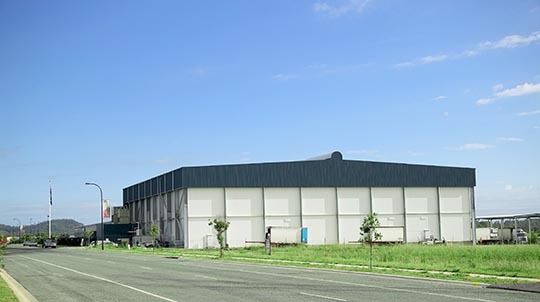 Design and constructed by the Spaceframe team, the roof trusses for this facility have a clear span of 66.2 metres. 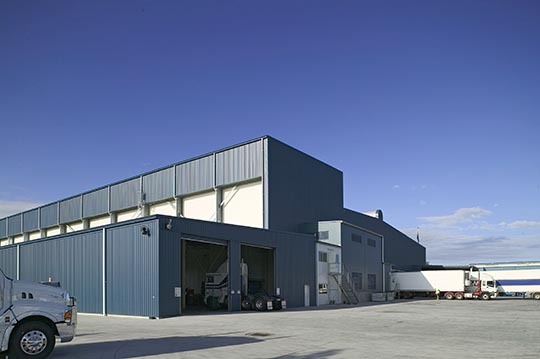 Two trusses with all purlins and refrigeration pipe were assembled together on the ground and these units lifted using four cranes. 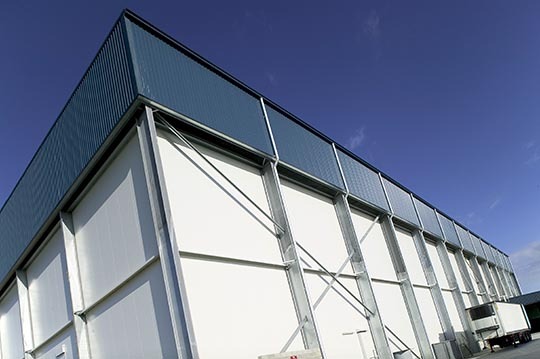 This innovative approach not only minimised the work for riggers at high levels but reduced the construction program by a substantial 3 weeks. 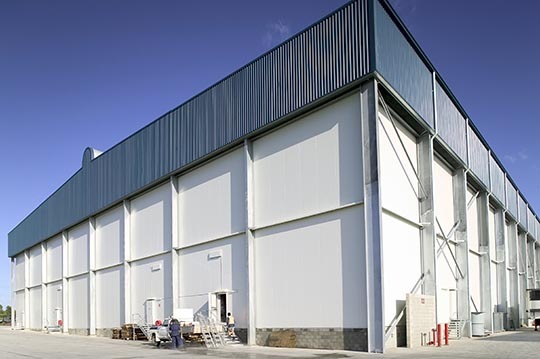 This project was constructed in two stages and planned to minimise disruption and increase productivity by allowing our client to fill the cold store in stages. 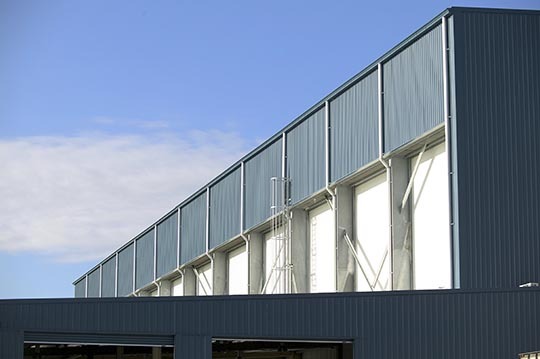 The roof trusses for this facility have a clearspan of 66.2 metres to optimize the cold storage area.